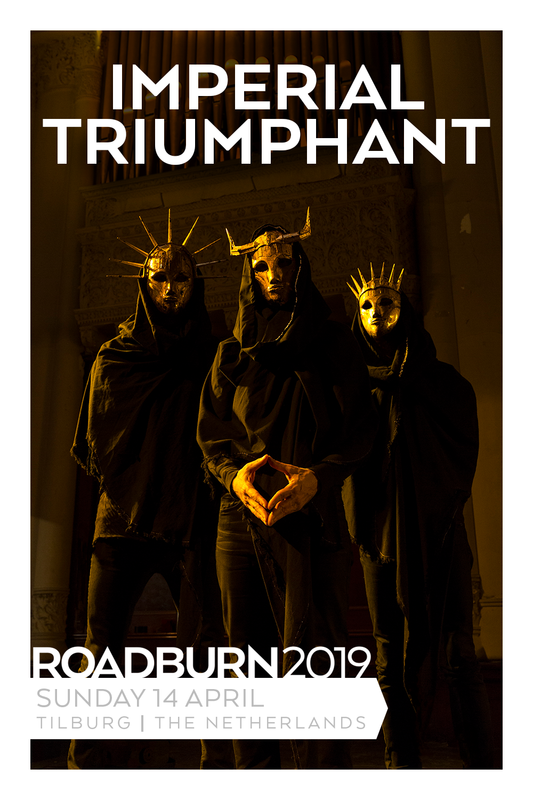 Imperial Triumphant to sit on a throne of gold and filth at Roadburn 2019! Grandeur and decay, opulence and decadence, luxury and austerity – seemingly opposites, yet all these pairings are always symbiotically connected in human societies. And we’ve rarely heard a better sonic representation of this than Vile Luxury, Imperial Triumphant‘s monumental new album, released a couple of months ago. Hailing from one of the biggest cities in the world, and one where those contrasts are the more poignant, New York, the band founded by guitarist/vocalist Ilya thirteen years ago has reached, on its third full-length album, a critical mass that fully embodies the essence of their geographical origin, and also acts as an allegory for modern societies in general. The result is nothing short of breathtaking. 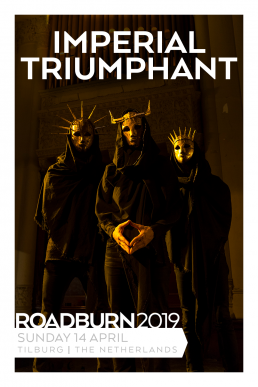 While Imperial Triumphant had been in our radar for a while already, it was the unfolding chaos and wild experimentation found in monstrous songs like ‘Swarming Opulence’, ‘Chernobyl Blues’ or ‘The Filth’ that really confirmed their presence at Roadburn like an utmost necessity. Like the behemoth landmark cities of the Western world throw everything unto their streets with unpredictable results, so too Imperial Triumphant weave together a horrid tapestry of musical extremes, from death metal to jazz, from black metal to noise, to portray the juxtapositions they face every day. Let us prepare the throne for the emperor of gold and filth to sit upon at Roadburn 2019 on Sunday, 14 April!